The first Grosvenor auction was held on December 9th 1997 in Mayfair at the Arts Club on Dover Street, and proved an immediate success. 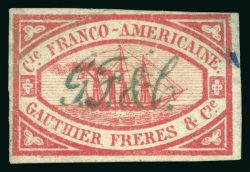 This sale featured our first ‘named section’ – the ‘Eric Bridges’ Netherlands – alerting fellow collectors to the presence of a prominent collection. Grosvenor has since cultivated many close relationships with collectors, study groups and federations, exchanging information and providing practical support. Founding fathers, James Grist, Nick Mansell and Andrew Claridge, a trio of well-known professional philatelists providing a comprehensive balance of knowledge together with a wealth of previous auction house experience, guided the company through its formative years. The first offices were established at 402 Strand, next door to the current location, the company moving subsequently to Woodstock Street in Mayfair before returning to the Strand in 2003. 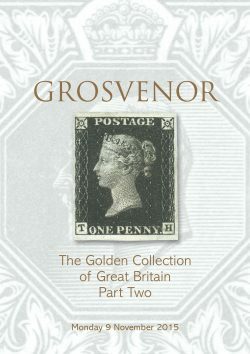 Landmark auctions and important individual lots offered by Grosvenor have been many during the last twenty years. Sale 7 in February 2000 contained the Norman Williams collection of Cinderellas, the start of an enjoyably close relationship with collectors of the unusual and esoteric – that continues to this day. Sale 14 in November 2002 included the remarkable John Sussex RDP, FRPSL collection of the Queen Victoria and King Edward VII Key Plate issues. 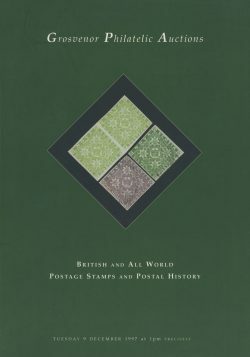 Whilst Sale 16 a year later was remarkable for the offering of an almost complete set of reconstructions of the World’s first postage stamps, the 1840 1d. black and 2d. blue. This extraordinary group achieved a record £212,400 realisation. Among other world record prices achieved have been those for the philatelic rarities of the Falkland Islands, a record that has been repeatedly broken in our saleroom and which currently stands at £106,590, the price paid in March 2013 for the South Georgia 1928 Provisional mint block of thirty, one with double surcharge, in the auction of the John Du Pont collection (Sale 79). Single vendor auctions have become a regular feature in the Grosvenor saleroom. Among these have been the ‘Apollonia’ Bermuda K.G.VI Key Plates (Mar. 2005), Rhodesia ‘Double Heads’ (Oct. 2007) and Borneo (Oct. 2013), the Edward Young Malaya/St. Lucia (Mar. 2008), ‘Aurelius’ Great Britain Parts 1 and 2 (May and Oct. 2009), ‘Abaco’ Bahamas (June 2010), ‘Victory’ Malta (Oct. 2010), John Rose Gambia (May 2011), Jim Mullett Lundy & G.B. Offshore Islands (Apr. 2012), the ‘Golden’ Great Britain Parts 1 and 2 (Mar. and Nov. 2015), Rev. 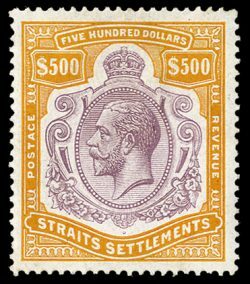 De Lacy-Spencer Railway Stamps (June 2015), Gary Brown Aden (Nov. 2015) and those of the Richard Tompkins collections in November 2006 which included a beautiful mint example of the rare Straits Settlements 1912-23 $500 that soared to £55,200. Sale 100 was reached in November 2015 as part of a very special week of auctions whilst our network of important consultant philatelists holding the position of official company representative in the United Kingdom and abroad has continued to grow. These include Stuart Billington, David Boyd, Peter Rennie in Canada, Gary Brown in Australia, Steve Schumann and Robert Odenweller on the U.S. West and East Coasts respectively. The Grosvenor team today features an exciting blend of youth and experience that is ready to embrace the challenges of technological evolution whilst retaining the best of the great London auction tradition. Strong room attendance is key to the successful dynamic of competitive interaction in public auction and we look forward to welcoming new friends to our future sales.